The 44 Magnum is one of the most powerful and iconic handgun rounds in the world. 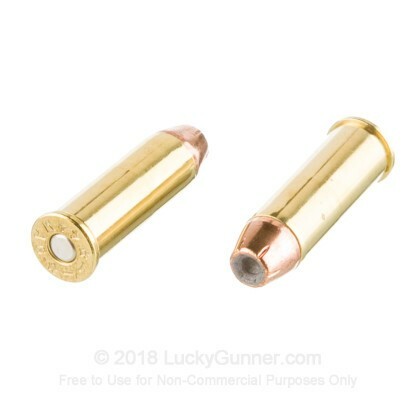 Used as one of the chamberings on the world famous Desert Eagle and appearing on the popular police movie Dirty Harry, the 44 Magnum is known for its incredible power and effectiveness all over the globe. Whether you are looking to defend yourself or do some hunting with your favorite wheel gun, the 44 Magnum has the incredible power and energy you need to get the job done. Black Hills is not your typical ammunition manufacturer. 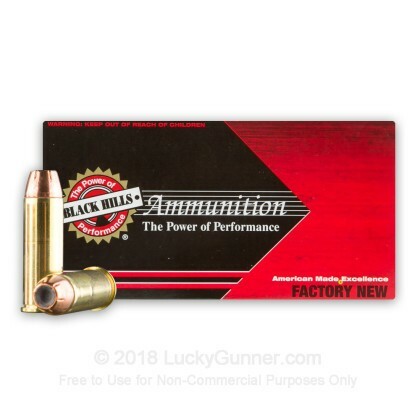 Making match grade ammunition for all branches of the United States military, Black Hills makes incredibly accurate and reliable ammo. All of their products are loaded in Rapid City, South Dakota with high quality components. 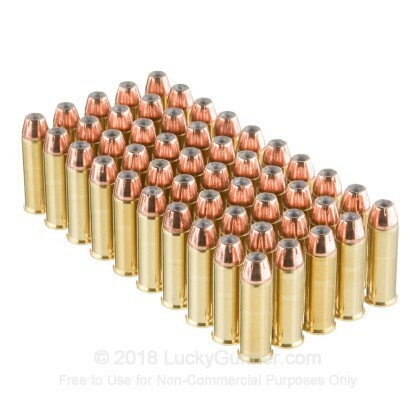 These 44 Mag rounds feature 300 grain jacketed hollow point projectiles the leave the barrel around 1,150 feet per second. 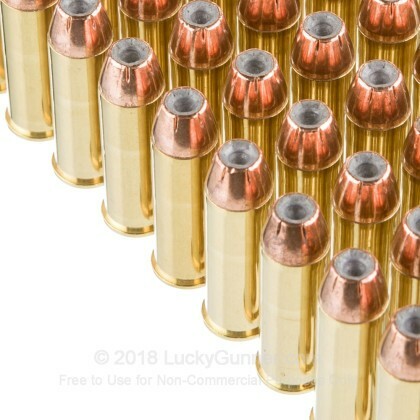 Each bullet is loaded into a factory new brass casing that comes boxer primed and is reloadable. 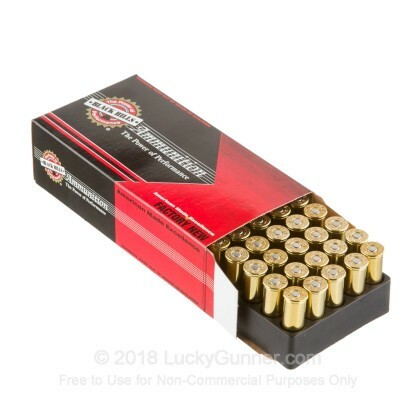 These rounds give you the incredible stopping power, expansion, and high accuracy you need to defend yourself or successfully take down medium sized game. 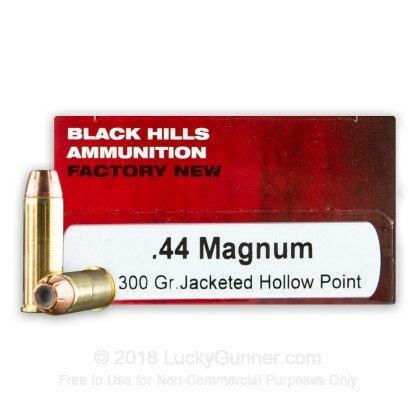 My favorite and most accurate factory 44 magnum load.